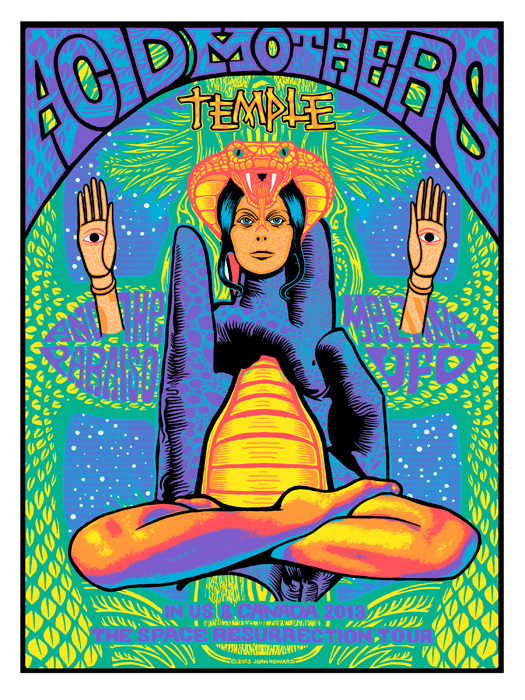 It is a huge pleasure to introduce many of you to the wonderful psychedelic artwork of San Francisco resident John Howard. Wow. Sadly he is too busy to attend in person, but the Stick Up curators have met him on at least three occasions (Hamburg Liverpool and Austin TX) and can reveal that despite the 3rd eye boggling, spirit guide unleashing, 20 000 volts of cosmic energy, John is an extremely calm, pleasant and easy person to meet. He would forgive us we think for describing him as one of the scene’s veterans, but some of his collectors would probably prompt us to use the word shaman instead. It’s a great honour to have him onboard and we hope you’ll get to meet him next year (or next life). Look for the confidence of an artist not afraid to wig out and play with weird pockets of the spectrum, often mixing them on undulating streams of lines influenced, we gather, by early totemic carvings. 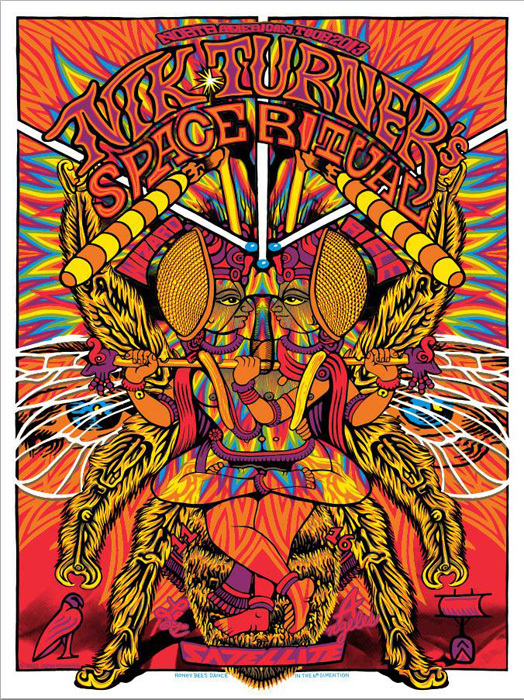 This entry was posted in Postermaker Profile and tagged 3D artwork, 3d poster, acid mothers temple, art, art trail, artist, brighton, california, design, exhibition, john Howard, monkey ink, nik turner's space ritual, psyche, psychedelia, psychedelic poster, san francisco, screenprinted gigposter, serigraphy, USA by Petting Zoo Prints & Collectables. Bookmark the permalink.